Never lose a setup again. 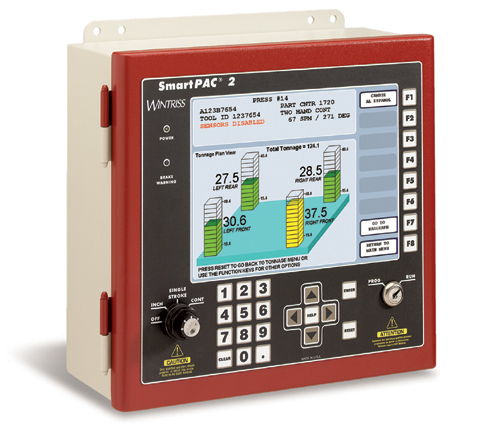 Protect your settings with SmartPAC 2's built-in back and restore function. If your SmartPAC 2 is on your network, you can use the built-in backup and restore capability. You simply specify a destination for the SmartPAC's memory files (usually a folder on a network server) and select 'backup' from the SmartPAC 2's Backup/Restore Control Menu. All of the tool number settings and initialization information for the SmartPAC 2 will be copied to that directory. The date of the last backup is also noted on the screen (this can be checked at any time). To restore settings, use the SmartView Web Interface to tell the SmartPAC 2 where to find the settings, and select "Restore". It's that simple. The optional USB backup works similar to the network method, but it allows you to backup to and restore from a USB memory stick that can be plugged into SmartPAC 2's USB port. If you have a combination of SmartPAC 1 and SmartPAC 2 controls, our SmartPAC Backup and Restore (SBR) software runs on a host PC and allows you to backup and restore setup information to both SmartPAC 1 and SmartPAC 2.